Wonderful Ireland have a range of options for the Wicklow Way, from 4 to 9 day self-guided tours. Ireland Walk Hike Bike have both guided and self-guided tours of the Wicklow Way which range from 5-8 days. Some packages include a stay in Dublin. Ireland Ways offer self-guided Wicklow Way walks of 4, 5 or 9 days. Absolute Escapes organise self-guided walks of 8-11 days on the Wicklow Way from March to October. A customised itinerary can also be arranged to suit your needs. Tailor-Made Tours organise self-guided walks of 6, 8 & 10 days for the Wicklow Way. Hilltop Treks organise self-guided walks of 4-10 days on the Wicklow Way. 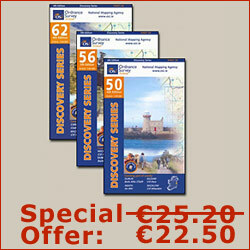 They also offer 3 or 5 day guided walks in County Wicklow. Footfalls organise guided and self-guided walks in addition to running Mountain Skills courses and the Wicklow Walking Festival. 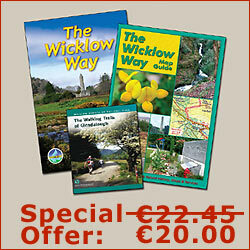 Hillwalk Tours offer a broad range of packages for the Wicklow Way. These range from 4-10 days on the trail with options of gentle or challenging walks each day.